Dressage world record holder Valegro will make a star appearance at the Theraplate UK Liverpool International Horse Show. The multiple Olympic gold medallist will parade at the Echo Arena on the first evening of the show (28 December) to a commentary recalling his career highlights. 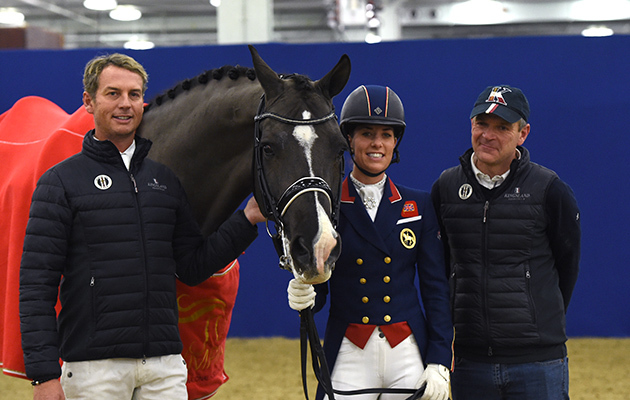 “We are thrilled that Carl [Hester], and Valegro’s joint owners Roly Luard and Anne Barrot, have agreed to bring him along, he is a legend and superstar and it is a rare chance for fans to get to see him in the flesh,” said show president Nina Barbour. Charlotte and Carl will be hosting a signing and meet and greet session before the show. Charlotte will also be competing in the inter I freestyle class that evening, riding the talented mare Florentina VI. “Having competed at Liverpool International last year it is great to be returning and to partner Florentina in such an electric arena will be fantastic,” said Charlotte. Paralympic medallist Sophie Wells, Nicki Barker, Ulrik Molgaard and Lisa Marriott are among the other entries in the class, which will be judged by Jane Graham and Clive Halsall. 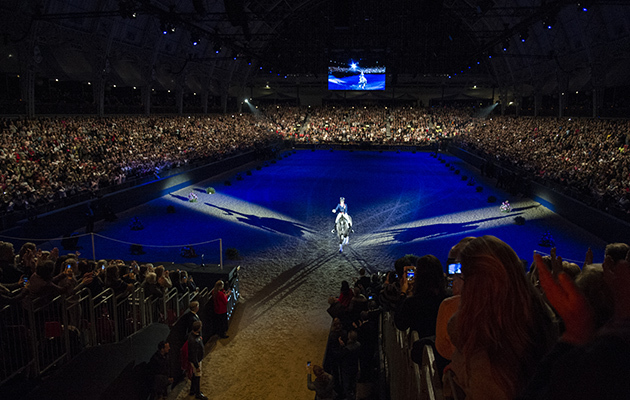 The programme for the opening evening performance also features the under-25 showjumping grand prix, Shetland pony grand national, live music from Rick Parfitt Jr, plus a performance by Arenacross UK freestyle motocross crew and an equestrian acrobatic display by Gilles Fortier. The spectacular event is back and means business! This year we are offering a fantastic accommodation and ticket package to the Liverpool Horse Show 2018 featuring Charlotte Du Jardin and many more famous faces. The show opens on 28 December and your ticket allows you access from noon of which you can see the full schedule below. 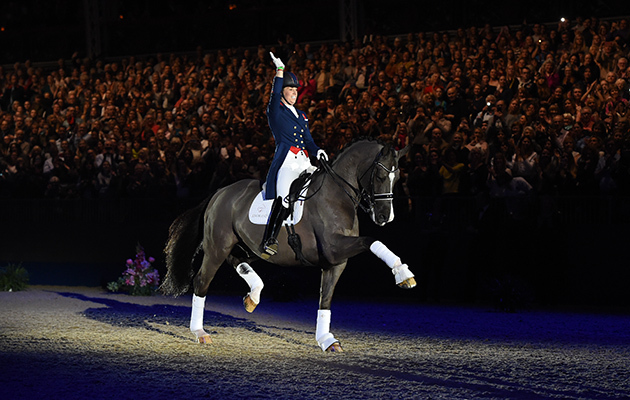 You will be allocated silver seats to watch Charlotte Dujardin perform on her amazing grey Florentina in the dressage to music competition on Friday night. You will also be granted the opportunity to meet Charlotte Du Jardin and Carl Hester as they sign autographs at the meet and greet area and then watch the beautiful Valegro parade in the main arena. You will be staying close to the arena for one night on 28 December on bed and breakfast basis in a three-star hotel. Then on 29 December we have included a day entrance ticket to the show for the Saturday performance.